I recently went on a trip to Bristol Zoo near to where I live. Originally I went to take photographs for my photography project but whilst I was there I couldn’t help but feel sorry for some of the animals and it raised the question to me are Zoos good or bad? Are they helping species or imprisoning animals. Although zoos have changed from just being cages, with zoos trying to recreate the environment the animals would be used to, they are still nothing like the wild like these animals are accustomed to. The animals that are used to roaming wild such as Lions, Tigers, Gazelles, Elephants etc, are trapped into cages that cannot provide any sort of space that these animals need. Lions have about 18000 times less space in a zoo than they would have in the wild. Some Gazelles can reach speeds of up to 70mph, how are they supposed to fulfill their full potential if they are caged in a space where they can barely run? Zoo’s try to keep the animals entertained in their cages by giving them toys or other animals of their species or similar species. This is to prevent the animals becoming ‘insane’. However I am not sure whether hundreds of people flashing cameras at the animals all day would send them slightly insane anyway. So do zoos actually help species or save them from extinction? They used to capture animals from the wild but now they try to breed them between zoos to help rebuild species and stop them from becoming extinct but also to stop the cruelty of taking animals from their natural habitat. An example that zoos help rebuild animals numbers can be seen with the California Condor, which LA and San Diego zoo managed to rebuild a population from less than 20 birds to around 170 birds, however only two thirds of the birds were competent to survive in the wild. Which backs up the idea that breeding animals within zoos is creating animals that are used to captivity and not able to survive in the wild, which in a way is creating a breed of animals fit for the zoo for peoples entertainment which doesn’t seem right. Education in zoos is another reason why I think zoos are good. For children to understand how different animals live in different environments and their ways of life compared to other animals. It is also a good place for children and others to see animals they might never get a chance to see in a wild. We can learn much from these animals when they are in zoos which could be used to prevent from their species from going extinct in the wild. Zoos are a good place to visit and always will be because people have a big interest in animals and how they live. People have a favourite animal that they can probably only see at a zoo unless they go on an exotic holiday. 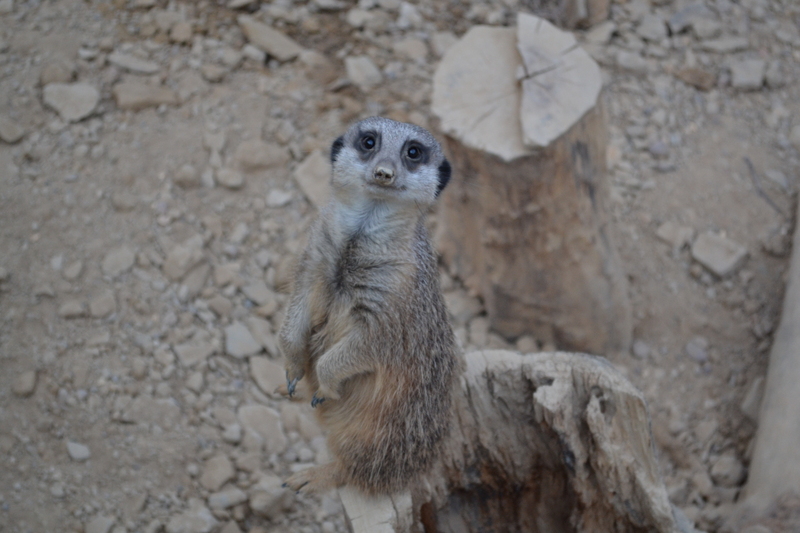 For example Meerkats probably have had a big boost in being peoples favourite animals because of the ‘Compare the Meerkat’ adverts, so people would go to the zoo to see them because they wouldn’t see them in the wild. Are the animals happy in this environment? Whilst walking around the zoo, it was hard to tell which animals enjoyed being in a zoo and which didn’t. Some animals might be happier in a zoo environment because they are safe from bigger animals hunting them and they know they are getting fed every day whereas in the wild they might not eat everyday? However the larger animals might not be happy because of the lack of space, they lose their ability to hunt and eat as much as they like. Lions are known as the kings of the jungle but I can’t imagine they feel much like kings, they must lose their pride at not being able to hunt. Another negative is that animals die prematurely in zoos, African Elephants in the wild live three times longer than elephants kept in zoos, this perhaps is another reason against zoos because the elephants need their natural habitat to become strong and able to live for the longest they can. Keeping these animals in zoos and saying they are rebuilding the population of the animals by breeding them and sharing them within zoos could be a cover up to the human race destroying their habitats and causing these animals to become extinct. If people think that these animals are safe within zoos and not going to become extinct it perhaps stops peoples awareness to the destruction we cause on where these animals should be living? Zoos will carry on to exist,especially if they are rebuilding species of animals,but are the species being recreated to fit into the zoo way of life? 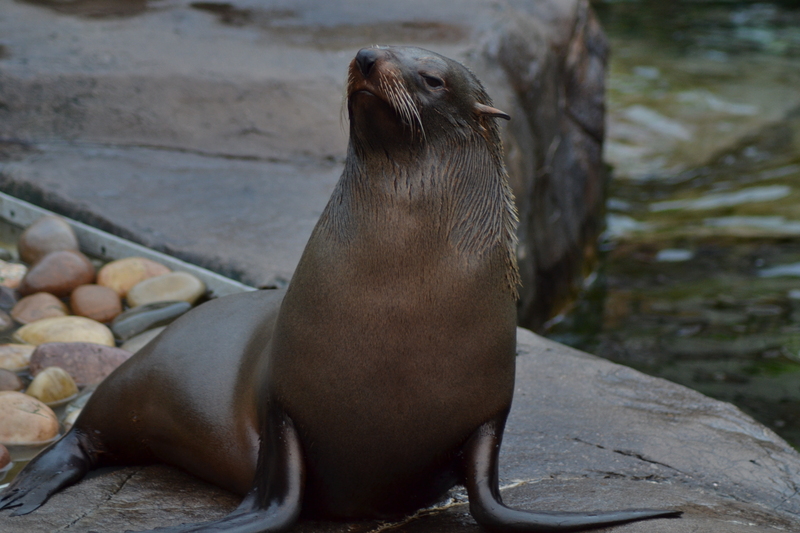 Zoos are always a popular attraction because peoples love for animals, but it is hard to decide whether they are good or bad because there are many arguments for both sides. 10 Reasons Why Horse Races Are Great. 10 Reasons Why The Races Are Great. Going to the races is always going to be a great day out for many different people, for horse lovers, for owners, for children and adults, f0r gambling addicts, stag parties and so on. But why do the horse races appeal to people so much? People will always have a fascination with animals and nature, but also competition. So combining both animals and racing creates a sport that many people find very interesting and exciting to watch. Here are ten reasons why people are still going and will continue to go to the races. 1. The Food. The burger vans at horse races give people an excuse to have a bit of fast food. Grabbing a burger in between the races or a plate of chips always seems to go down well at horse races. You can also have meals in the restaurants of the bigger race venues. 2.The Drink. A day at the races is always a good excuse to have a few drinks. In between horse races it is easy to go and grab a pint which you can drink whilst watching the horses in the parade ring and deciding on who to gamble on next. 3.Going With a Group of Friends or Family. Going with a group of friends to celebrate a birthday, a stag party or even just a day out. It is a great venue to get dressed up, go with a load of friends or family, have a few drinks, a nice meal and a bit of a gamble. 4.The Thrill of the Race. Cheering the name of your horse from the stands with hundreds of other people is always exciting. Watching your horse make a last minute dash to the front to win when its 10/1 is always a good feeling, or watching it tumble at a jump when it is favourite is more likely. 5.Seeing the Horses. If you are a horse lover, then being able to get close to the horses in the parade ring and see the different breeds of horses and the horses in their best state must be good. Also children often like animals and so being able to see horses that close is a bonus. 6.The Jumps. The jumps are on the most exciting parts of the races, they can completely change a race with a bad fall, or with a great jump a whole race can turn. These make the race much more interesting because anything could happen, and always matters more when there is money on it! 7.Finding the Best Odds. If you are a gambler then finding the best odds is the most important part of the day. Studying the form book to see if you can pick out the winner, then trying to find a bookmaker whose odds are going to pay you back the most is always interesting and important if you take gambling seriously. 8.Your Horse Winning the Race. After you have just bet £10 on a horse to win at 7/1 then there is nothing better than watching your horse win the race and then going to collect your winnings. Picking a winner is always a good feeling, especially when you beat the bookies! 10.The Importance of the Race. The race is important to a lot of people. The trainers that have spent ages looking after the horse and getting it fit to race. The horse owners who would have spent a lot of money to get the horse to the point of racing. The jockey who has to race the horse and has the talent (or height) to ride. Money rides on each race so it is important to win.